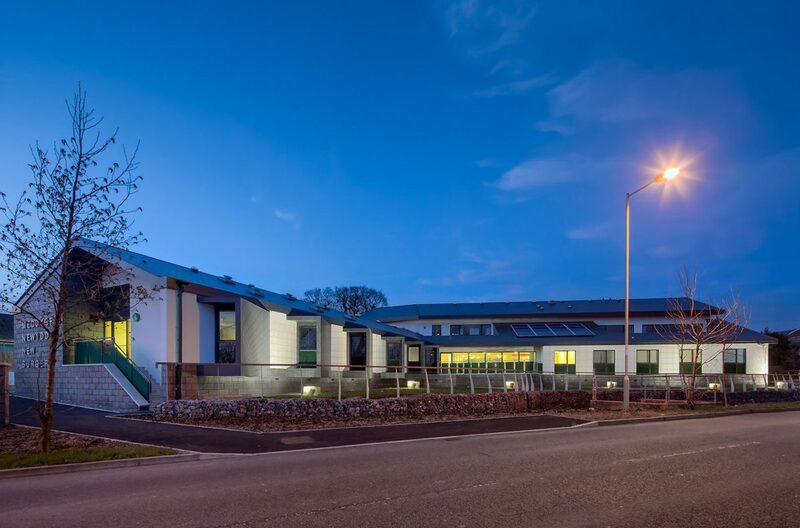 This scheme provides accommodation for the New Surgery, Pencoed GP practice and clinical space for Abertawe Bro Morgannwg University Health Board. 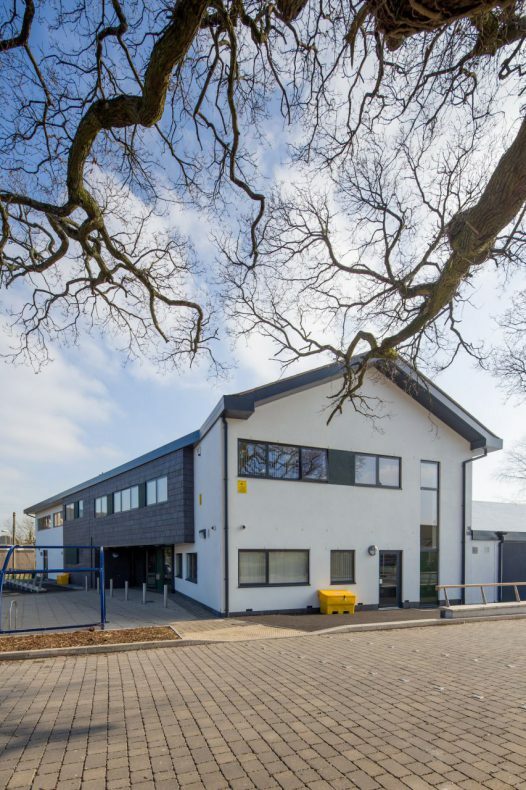 The practice accommodation is split between two floors with all clinical space located on the ground floor and ancillary staff support space located on the first floor. 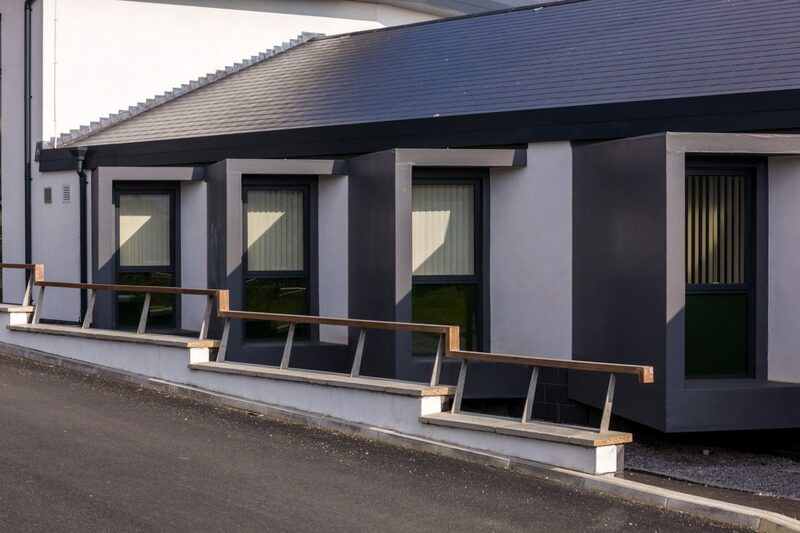 The schedule of accommodation included eight consultant rooms with a proportion of these being dedicated to trainee GP’s. 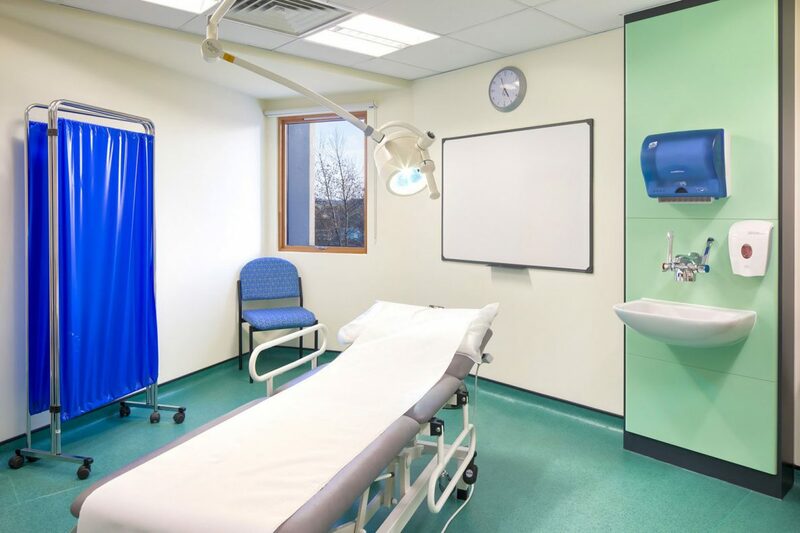 There are two treatment rooms, a minor surgery room, a phlebotomy and nurse consult room which all form the practice wing of the building. 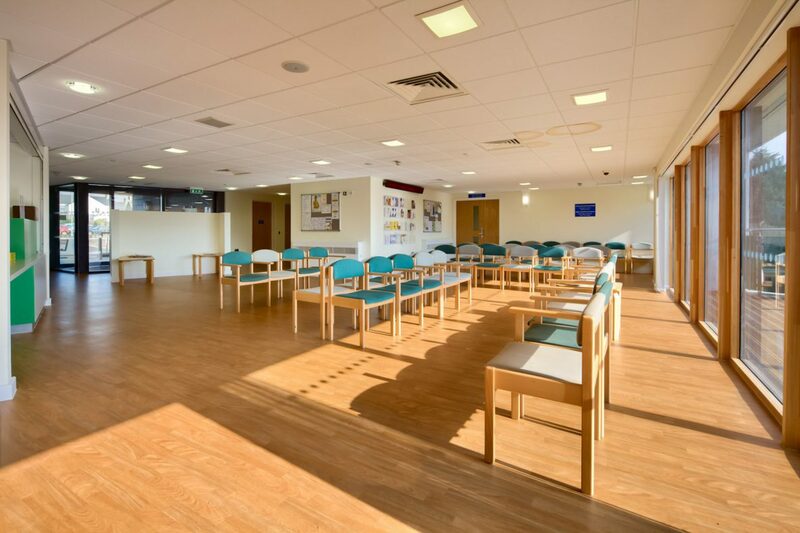 The Health Board occupy a separate wing which houses two consultant rooms, a treatment room, storage and office space. 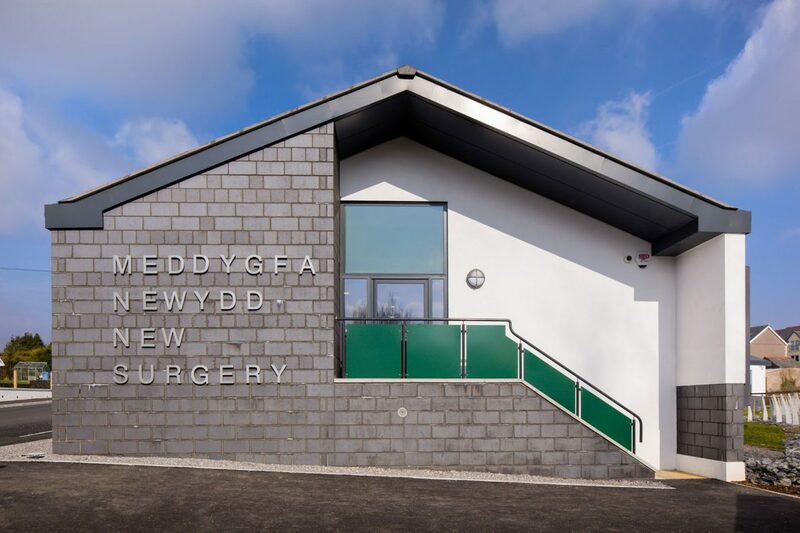 The two wings are connected by a central waiting area allowing all visitors to take advantage of the long distance views afforded by the site. The scheme successfully integrates with the existing landscape and travel patterns utilise existing rights of way across the site and local public transport interchanges. 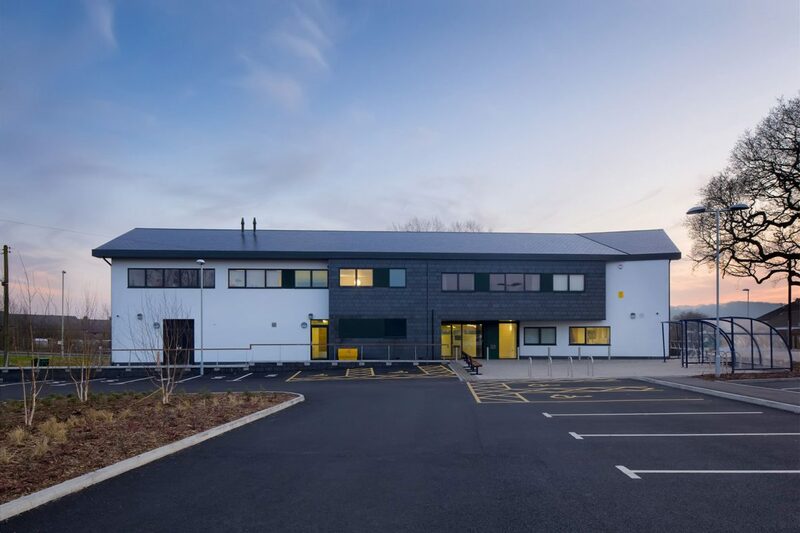 The building achieved a BREEAM rating of ‘Very Good’ with an ‘Excellent’ rating for the energy credits.